There are magical qualities in the music of Maurice Ravel that are found in the work of no other composer. The son of a father raised near Genève and a Basque mother whose childhood was spent in Madrid, Ravel was born in the small commune of Ciboure in the Pyrénées-Atlantiques department of France, near the Golfe de Gascogne. The Ravel household was a nurturing environment for the young composer and his brother Édouard, one in which matters mechanical and musical were discussed with equal enthusiasm and Madame Ravel serenaded her sons with Basque folk songs recalled from her own youth. His engineer father’s scientific inclinations and his mother’s Basque libertarianism undoubtedly exerted powerful influences on Ravel’s artistic development. This is perhaps more evident in none of his works than in his ‘comédie musicale’ L’heure espagnole, first performed at the Opéra-Comique on 19 May 1911, when Ravel’s score shared the evening with Jules Massenet’s now-little-remembered Thérèse. An adaptation of the like-titled 1908 ‘comédie bouffe’ by Franc-Nohain (né Maurice Étienne Legrand, 1872 – 1934), L’heure espagnole was the first of Ravel’s two one-act operas, the only works in the genre that he completed despite having worked with varying degrees of diligence on three further operatic projects, and in its twenty-one scenes he created as entrancing a work as graced the French lyric stage in the first quarter of the Twentieth Century. 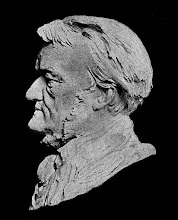 Olin Downes wrote in The New York Times after L’heure espagnole’s Metropolitan Opera première in 1925, when Concepción and Ramiro were sung by luminaries of the era Lucrezia Bori and Lawrence Tibbett, that ‘there is not a measure that fails to tell its tale; not an innuendo of a racy text which fails to find its echo in the score.’ The text likely seemed racier to audiences ninety years ago than to today’s listeners, but Downes’s assessment struck the L’heure espagnole nail on the proverbial head: there is not in the opera’s fifty-minute duration a single bar that misses its musical and dramatic marks. The same can be said of the performance recorded by NAXOS in Lyon’s Auditorium Maurice-Ravel—as fitting a venue for L’heure espagnole as exists—in 2013 and now released in spacious, atmospheric sound produced, edited, and engineered by the team of Hugues Deschaux, Quentin Hindley, and Daniel Zalay: from the playing of the Orchestre National de Lyon to Leonard Slatkin’s conducting and the singing of a first-rate cast, this is a L’heure espagnole that bedazzles with the precision of a fine Swiss—make that a Spanish—timepiece. Reusing the template that partnered Slatkin’s excellent Naxos recording of L’enfant et les sortilèges with a delightful account of Ma mère l’Oye [reviewed here], the label here pairs L’heure espagnole with the last of Ravel’s musical Iberian sojourns, his setting of three songs with texts by Paul Morrand (1888 – 1976), Don Quichotte à Dulcinée. Since the first publication in 1605 of Book One of Miguel de Cervantes’s El Ingenioso Hidalgo Don Quixote de la Mancha, Don Quixote has been as ubiquitous a figure in Spanish literature as Sir John Falstaff and Tartuffe are in English and French literary traditions. Sentimentally, there are definite parallels between Massenet’s valedictory opera Don Quichotte and Ravel’s Don Quichotte à Dulcinée, heightened in provenance if not in practice by both works having been conceived for Russian bass Feodor Chaliapin [owing to illness, Ravel’s music for the film starring Chaliapin, the source for what became Don Quichotte à Dulcinée, was not completed, and the film score was ultimately supplied by Jacques Ibert]. Unlike the earlier L’heure espagnole and Massenet’s wistful but ultimately cathartic opera, the clamor of the approaching catastrophe typical of the entre-deux-guerres years resounds in Don Quichotte à Dulcinée. Backed by the Orchestre National de Lyon’s affectionately virtuosic accompaniment and refreshingly straightforward conducting by Slatkin, French bass François Le Roux highlights the music in Morrand’s words and the poetry in Ravel’s music. Morrand’s and Ravel’s Don Quichotte is a man wearied by his much-tested chivalry but unwilling to accept or admit his decline. The sharp quajira of the opening Chanson romanesque, ‘Si vous me dissiez que la terre,’ is shaped by Le Roux and Slatkin with unflagging energy, the dance of a man no longer light on his feet but still upright, still forging his own choreography. The subsequent Chanson épique, ‘Bon Saint Michel qui me donnez loisir,’ undulates with the feverish intensity of the zortzico, tempered by a softening of the hard textures of the music when the beloved Dulcinée is conjured. The vibrant jota of Chanson à boire, ‘Foin du bâtard, illustre Dame,’ fizzes with inebriated high spirits, but Le Roux’s vocalism remains focused and uncaricatured. Only a few minuscule instances of unsteadiness betray the singer’s years of service, the voice on the whole remaining a solid, well-trained instrument with a timbre like best-vintage cognac. Hearing Le Roux as Massenet’s Don Quichotte—or as Sancio Pancia in Giovanni Paisiello’s 1769 opera Don Chisciotte della Mancia, for that matter—would be most welcome, so complete is his characterization even in the seven minutes of Ravel’s portrait of the crestfallen knight errant, and his performance joins those by Camille Maurane, Max von Egmond, and José van Dam as one of the recorded accounts of Don Quichotte à Dulcinée to be cherished. With orchestrations that, in addition to full complements of strings, brasses, woodwinds, celesta, and a pair of harps, call for a percussion section including timpani, three clock pendulums (for which Ravel specified metronome speeds), bass drum, bells, castanets, cymbals, glockenspiel, sleigh bells, spring, ratchet, tambourine, tam-tam, triangle, whip, and xylophone, L’heure espagnole is a score distinguished by an early flowering of the imaginative instrumentation of which Ravel was a consummate master. From the opening bars of the orchestral introduction, the Lyon musicians play with fervor and finesse. No section of the orchestra is less than excellent, but the low brasses and woodwinds are often spectacular, this disc featuring some of the best bassoon playing ever committed to disc. [Whether the Orchestre National de Lyon employs the sarrusophone requested by Ravel or substitutes contrabassoon is not indicated in the liner notes: the latter seems—and sounds—more likely.] In all of the opera’s twenty-one scenes, Slatkin adopts tempi that closely adhere to Ravel’s markings without causing the performance to seem like a pre-fabricated, paint-by-the-numbers run-through. Effective as Slatkin’s conducting of the Naxos L’enfant et les sortilèges was, his pacing of L’heure espagnole is even better. In the opera’s opening scene, Ramiro, the muleteer arriving to submit his watch for repair, and Torquemada, the dully industrious clockmaker, are introduced with extraordinary wit, their voices differentiated by far more than range. Ravel intended for Ramiro to be sung by a baryton-martin, a Fach of which there are scarcely more modern representatives than of the near-mythical Falcon. Pursuant to his intention, Ravel gave Ramiro a punishingly high tessitura, with which baritone Marc Barrard contends with formidable assurance in this performance. Beginning with his titanium-cored voicing of ‘Señor Torquemada, horloger de Tolède?’ and ‘Or je suis – à votre service,’ he vaults through Ramiro’s music—and hauls those clocks and their clandestine cargo to and fro—with ease that appeals as much to the listener’s ears as to Concepción’s eager eyes. Concepción’s dullard of a husband Torquemada—yes, one almost expects a Monty Python trouper to suddenly exclaim (en français, bien sûr), ‘Nobody expects the Spanish Inquisition!’—responds, ‘Torquemada, c'est moi, Monsieur,’ in the firm tones of tenor Luca Lombardo. Though he apparently is not overly proficient in cleaning his wife’s clock, literally or figuratively, there is no reason that he should sound like a superannuated geezer, and this performance is all the more amusing for having in Lombardo a Torquemada who is not a whining marionette. In Scene Two, Concepción joins her husband and his customer Ramiro with a typically unsubtle exclamation of ‘Totor!’ Assigned by Ravel to a soprano, Concepción is sung in this performance by mezzo-soprano Isabelle Druet with the velvet-throated sass of the young Giulietta Simionato. [Did someone mention Falcons?] She toys with Ramiro with her Carmen-esque ‘Il reste, voilà bien ma chance!’ in Scene Three, but her seductive greeting to the poetry-spouting student Gonzalve in Scene Four, ‘Il était temps, voici Gonzalve,’ falls on deaf-by-distraction ears: dulcetly sung by tenor Frédéric Antoun, who veritably sighs ‘Enfin revient le jour si doux,’ this is a Gonzalve whose head is quite happily in his clouds of verse. Exchanging fire with Concepción and Gonzalve in Scene Five, Barrard delivers Ramiro’s ‘C’est fait! l’horloge est à sa place’ rousingly. In the subsequent scene, Concepción continues her assault on the hapless Gonzalve, Druet dispatching ‘Maintenant, pas de temps à perdre!’ and ‘Oui, c’est fou, je te le concède’ with marvelous insouciance. In the opera’s early scenes, Concepción’s music rarely departs from the lower octave of the soprano range, and the richness of Druet’s tones in this part of the voice lends her Concepción an alluring voluptuousness. As a matter of convenience, she shifts her amorous attentions in Scene Seven to the banker Don Iñigo Gomez, who greets her as he enters through a window with ‘Salut à la belle horlogère!’ in the clarion tones of bass Nicolas Courjal, leading to an uncomfortably close encounter with Ramiro, whose ‘Voilà ... Et maintenant à l’autre!’ Barrard predictably sings vigorously. Scenes Nine and Ten give first Iñigo and then Ramiro rare chances to have the stage to themselves, variously disappearing into and emerging from clocks, and the interpreters of both rôles seize their opportunities with glee. Singing with suavity that recalls recorded souvenirs of the vocalism of Ravel’s first Iñigo, Hector Dufranne (also Debussy's first Golaud in Pelléas et Mélisande), Courjal makes Iñigo’s ‘Evidemment, elle me congédie’ a most entertaining interlude. The level-headed machismo of Barrard’s recitation of Ramiro’s ‘Voilà ce que j appelle une femme charmante’ is comparably droll. Both gentlemen bring their rôles to life with the authentic Gallic magnetism often lamented as extinct among today’s artists. With her ‘Monsieur, ah! Monsieur! Dans ma gorge, les mots s arrêtent de dépit!’ in Scene Eleven with Ramiro, the tessitura of Concepción’s music climbs as the comedy escalates, Druet’s top G rocketing above the masculine grumblings with the force of the Mistral. Courjal’s Iñigo launches Scene Twelve with a riotous ‘Enfin, il part! Dieu! que ces muletiers sont de fâcheux bavards!’ that Barrard’s Ramiro answers with a galvanizing ‘Que faut-il que j’en fasse?’ in Scene Thirteen. Scene Fourteen reunites Concepción with Gonzalve, and the sting of Druet’s enunciation of ‘Ah! vous n’est-ce pas, preste! leste!’ is more piquant owing to the attractiveness of the sound. This is also true of Antoun’s singing of Gonzalve’s ‘En dépit de cette inhumaine’ in the next scene. How much more poignant many performances of Puccini’s La bohème might be were they populated by Rodolfos who sound as legitimately poetic as Antoun’s Gonzalve! The sextet of scenes that proceed from Ramiro’s and Concepción’s return to the opera’s end, set in motion by Barrard’s stirringly-vocalized ‘Voilà ce que j’appelle une femme charmante,’ constitute one of the most purely fun sequences in opera, Ravel’s invention growing more exuberant with every subsequent phrase. The vocal potency and wily femininity of Druet’s handling of Concepción’s descent from F at the top of the stave to the D just below it on ‘Oh! la pitoyable aventure!’ and its repetition later in Scene Seventeen, as well as her fortissimo top As, bring to mind the similar qualities of Renata Tebaldi’s Gioconda, Tosca, and Wally. Indeed, Druet has at her disposal complete security throughout the full compass of the voice of which many spintos and dramatic sopranos should rightly be envious. All of the players trade barbs in the opera’s final minutes, Barrard discharging Ramiro’s ‘Voilà! ... Et maintenant, Señora, je suis prêt’ like a firecracker and Courjal’s burly elocution of Iñigo’s ‘Mon œil anxieux interroge’ giving way to Antoun’s heralding Gonzalve’s awakening of sorts with his sustained fortissimo top A♯. Torquemada gets a last word in before the vaudevillian finale with ‘Il n’est, pour l’horloger, de joie égale à celle,’ sung by Lombardo with the exasperation of a cuckolded husband and long-abused civil servant. The twisted ‘moral’ of L’heure espagnole is intoned by the cast with good-natured satisfaction in ‘Pardieu, déménageur, vous venez à propos!’ They all make credible efforts at producing the trills devilishly demanded by Ravel, and Druet confirms with her incandescent top B that, in the wake of so much mayhem, Concepción retains the upper hand over her band of hombres. 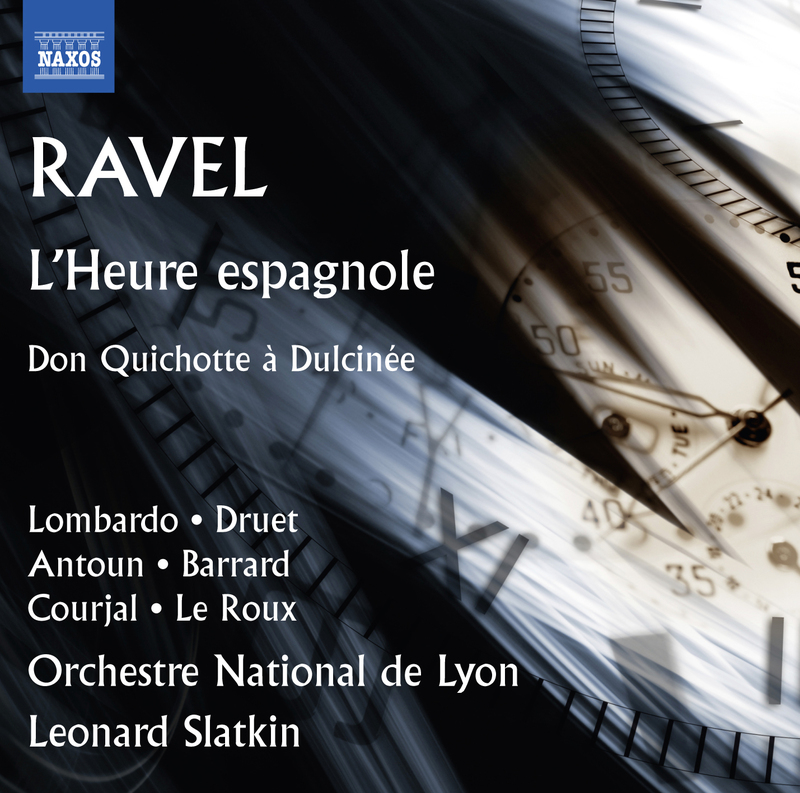 The first recording of L’heure espagnole was made under Ravel’s supervision in 1929, and that performance, now available in restored form, established a benchmark that has survived the test of the subsequent eighty-seven years. Per capita, recordings of L’heure espagnole have maintained a higher standard of artistry than those of many—most, in truth—operas, so the competition faced by this new NAXOS recording is fierce. Pas de souci! Featuring expertly-sung, brilliantly idiomatic performances of both Don Quichotte à Dulcinée and L’heure espagnole, this is one of the most enjoyable discs in the NAXOS catalogue. Give this L’heure espagnole an hour wherever you happen to be, and Ravel’s musical sorcery will transform your surroundings into the bustling Alcázar. Join Piedmont Opera on an Arts-lover’s dream journey to gorgeous Santa Fe, New Mexico. 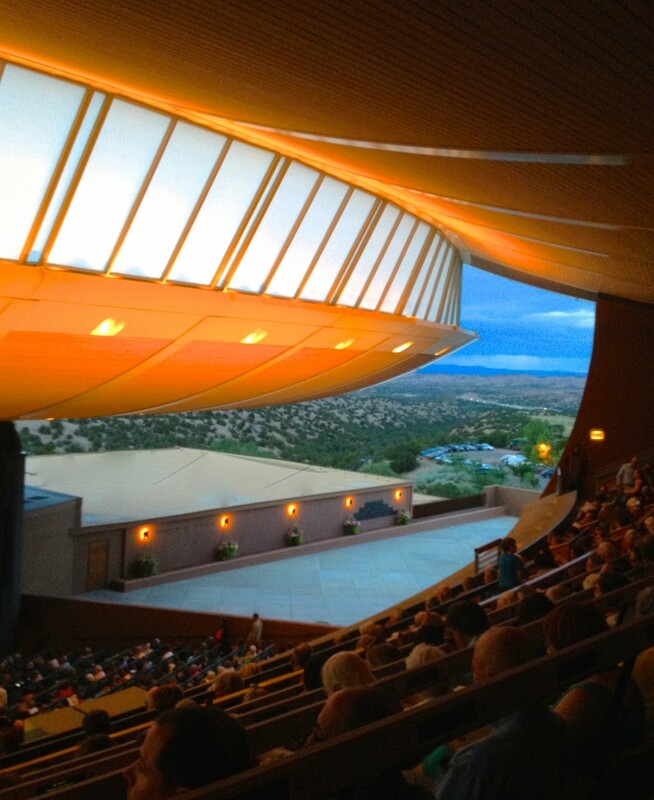 Enjoy performances by Santa Fe Opera, canvases by Georgia O’Keefe, palate-pleasing cuisine, and unforgettable vistas. Departure date is 8 August; returning on 13 August 2019. For more information about the itinerary and how to book your spot for this trip, please click on the photograph. All content © by Joseph Newsome. Please do not reproduce material without consent. Is there a performance that you would like to see featured on Voix des Arts? E-mail your review request for consideration. Thank you! Looking for something in particular? Search for it here! Join the conversations on Facebook and Twitter. Voix des Arts is a labor of love from which no revenue is derived. The endeavors of the site are supported solely by the generosity of readers, record labels, and concert presenters and venues. Your support is greatly appreciated! 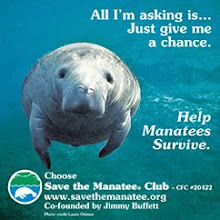 Adopt a manatee for a loved one: you just might save one life and greatly enrich another. Please join me in supporting this wonderful organization that promotes research, conservation, and political activism, dedicated to preserving one of America's most endangered indigenous species. Add your voice to the chorus singing for the survival of these beautiful, mild-mannered creatures. Give a gift adoption of a Florida manatee to someone you love today. 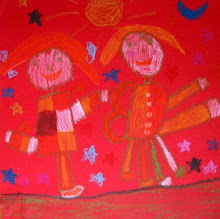 Click the picture above to visit the website for RxArt, a non-profit organization working to create and place art in public areas of children's hospitals throughout the United States. Bringing beauty to a sick child may well provide the moment of happiness or glimmer of hope that he or she desperately needs in order to recover. Please consider helping a family with the life-altering gift of an animal. Please consider helping a needy family by providing an animal (or animals) that can forever alter a family's livelihood and means of sustenance. Heifer International is a phenomenal organization that improves the daily lives of impoverished families throughout the world by providing livestock for agricultural pursuits. This is made possible by the incredible generosity of people like you and me. This is a gift that neither you nor its recipients will ever forget. As we measure the effects of the deteriorating global economy on our own lives, consider the impact plunging charitable contributions have on the lives of underprivileged, oppressed, and ignored people throughout the world. I proudly support UNICEF in their work to improve the lives of children throughout the world. Please click on the logo above to visit UNICEF's website to learn about how you can help. Share your comments and questions! Thank you for reading Voix des Arts. Questions or comments? Your feedback is always welcomed. © 2008 - 2019 by Joseph A. Newsome. Please do not reproduce articles without permission. Simple theme. Powered by Blogger.